NAC's Temporary Runway Closure “X” Marker is White and made exclusively for Canada airports. Our markers are the toughest, highest quality, ultra-violet resistant vinyl coated windscreen mesh on the market. 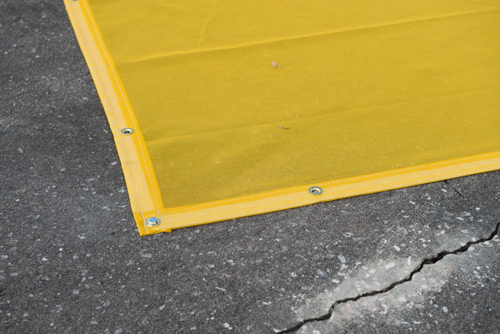 Our single marker design prevents roll-up and folding caused by wind gusts and our matrix material markers can be positioned using either sandbags, metal anchors, or stakes (sold separately). 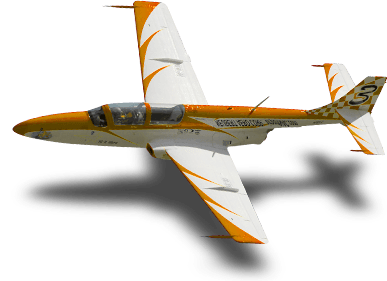 Used safely at over 500 airports worldwide since 1998! How do you comply with the Transport Canda's policy for marking a RWY Temporarily "CLOSED"? NAC’s Runway “X” Closure Markers provide airports with a cost-effective alternative to traditional tarp or plastic fence markings. Tested under actual runway conditions for civilian and military runways, the NAC Runway “X” Closure Marker effectively warns pilots of closed runways and taxiways. Durable White Marker vinyl-windscreen material using #2 brass rolled-rim spur grommets installed through hem at 0.76m (approx.2'.6" spacing) intervals along marker perimeter. Placement Length is 36m. 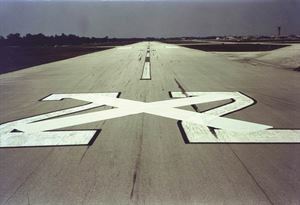 A SINGLE MARKER WITH NO OVERLAP CENTER ALLOWING THE PERFECT "X" EVERY TIME IN MARKING YOUR "RUNWAY CLOSED". A Vinyl Windscreen System, manufactured by NAC, consists of 2 sections fused as one piece and is 1.8m x 38.8m white marker using No. 2 brass rolled-rim spur grommets installed through hem at 0.76m (30-inch) intervals along marker perimeter. Grab Tensile, Method 5100 90/82 kg.